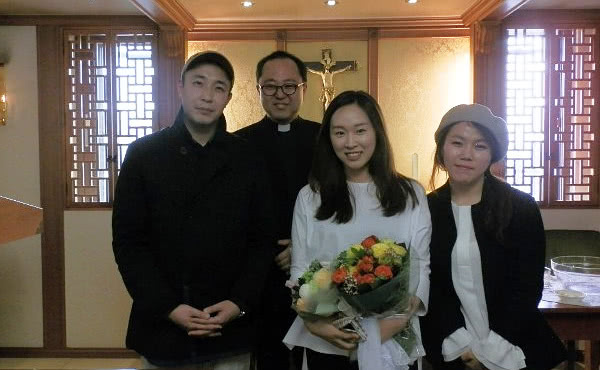 Although she wasn’t a believer, Hyeunmin accompanied a friend at work every day during their lunch break to pray the Angelus in a nearby church. Thus began her journey to the faith in Seoul, Korea. I met Opus Dei thanks to a friend of mine at work. During lunch, my friend always goes to a church near the office and there she prays the Angelus, an Our Father, a Hail Mary and a Glory Be. 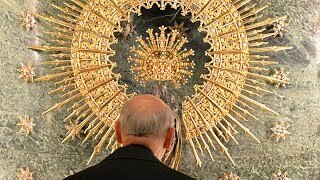 I was not a believer, but I was curious and sympathetic towards Catholicism, and I began to accompany my friend to the church to pray. I even memorized the prayers. She also taught me how to pray the rosary while we were taking a walk during lunchtime. Thanks to this, I now go to church and pray the rosary, and I have realized that our Lord is involved in everything that happens to me. 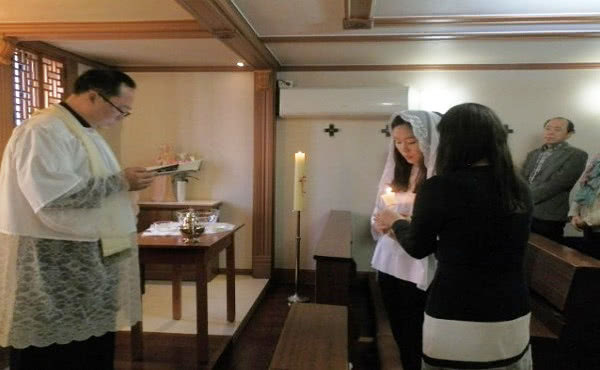 Later on, my friend invited me to an Opus Dei center, and after a year of receiving catechism classes, I was baptized. Now, I am also a cooperator of Opus Dei. Frequently, the problems I faced at work, also with my colleagues, made me suffer. Before I was a believer, it was hard and painful to resolve or accept those problems. I didn’t feel responsible at all for those situations, and therefore I didn’t examine my own attitude or behavior. After receiving baptism, I began to attend the means of formation that Opus Dei offers and to receive spiritual guidance from a priest. Talking with the priest, I discovered my own share of responsibility in the frictions I experienced with my colleagues. When I attend the activities offered at the center of the Work, I learn how a believer should behave and make the resolution to be constant in my prayers. And I try to put into practice the things I am learning through spiritual guidance. My dispositions, both internal and external, have begun to change. I have understood the importance of daily prayer and I am beginning to have a deeper interior life. And I understand better and accept more easily the things that happen to me throughout the day.